MP Varun Gandhi recently introduced a private Bill seeking amendment to the Representation of People Act, 1951. The amendment, among other things, sought for right to recall of elected representatives. It suggests conferring with the electorate an option of recall that can be initiated by any elector within a particular constituency through a recall petition signed by not less than one-fourth of total number of electors. Once the initial signatures are verified, the chief petition officer may notify the signing of recall petition. Every elector of that constituency is eligible to sign the same. The recall petition will be successful if signed by a number not less than three-fourth of valid votes received by the elected representative in election. Therefore, it envisages the idea of qualified mandate wherein the mandate is contingent on performance of the representative. Arguably, ‘right to recall’ can be part of a perfect democracy. Can it be successfully implemented in the Indian context wherein its democracy entails certain vital contradictions? Let us examine. At the outset, let us analyse the meaning of democracy within the framework of the Indian Constitution. The Constitution envisages a ‘democratic’ framework which goes beyond the contours of ‘political democracy’. It visualises democracy to be social, economic and political in nature. In other words, it goes beyond ‘one person, one vote’ principle and embraces the ‘one person, one value’ principle. The ideal of democracy under the Indian Constitution is heavily influenced by the scholarship of Prof. John Dewey, thanks to his student Dr. B.R. Ambedkar. Prof. Dewey connected successful democracy with education on the argument that democracy flourishes only when the citizens are truly autonomous in their cognitive faculties. Citizenry is expected to embrace scientific temper wherein issues affecting the society are freely and fairly discussed and debated. Education in India, which is far from perfect, has not made the electorate “autonomous, thinking individuals” as envisaged by Prof. Dewey and his protege, Dr. Ambedkar. Evidently, we are still quite far from this goal. Various pressure groups based on community, religion, language etc continue to maintain an unhealthy influence on Indian society. Our society is, therefore, yet to mature into a truly democratic society. Given this background, right to recall will be adversely influenced by these contradictions and consequently, it will not serve the intended purpose. Right to recall, in the extant ecosystem, engenders political instability in parliamentary democracy (wherein the existence of the government is contingent on enjoying the confidence of the legislature and also, where ‘horse trading’ is not anathema to the polity). Given a choice between ‘right to recall’ and political stability, we ought to choose the latter. In this regard, Thomas Hobbes’ “Leviathan” (1651) merits consideration. Hobbes was heavily influenced by the English civil war that raged across England for almost a decade. According to him, the life in the “original state of nature” would have been “nasty, brutish and short”. As social contract theorists would maintain, Hobbes argued that people voluntarily formed governments to bring in order and certainty. However, Hobbes went further and argued that there was considerable compulsion on people to form a government owing to the “original state of nature”. He posited that a government can be challenged only in exceptional circumstances. Though Hobbes’ political theory merits only qualified acceptance in a Constitutional democracy, it highlights the perils of political instability, which are germane in a nascent democracy. 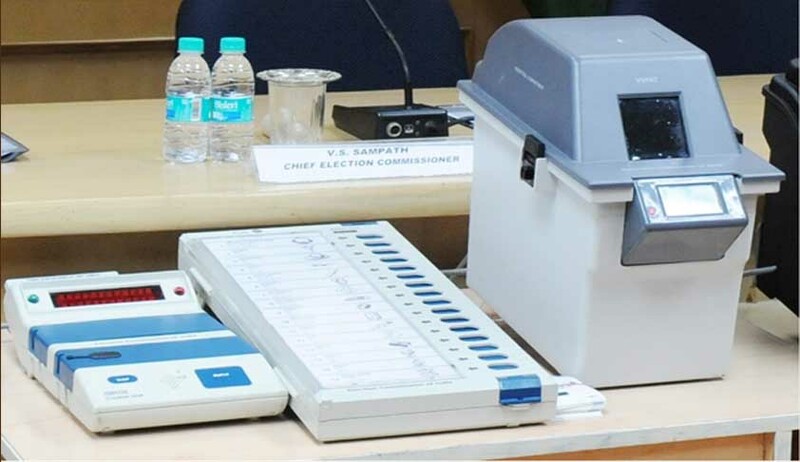 Right to recall creates additional burden on the over-stretched Election Commission. It will also place undue pressure on limited resources such as manpower, time, money etc. Further, the criteria provided for recall viz., dissatisfaction of the electorate with the performance of the candidate, is vague and provides immense scope for misuse. It is contentious as to whether right to recall will instill vertical accountability. For instance, existence of local self governments has not automatically led to improvement of vertical accountability across India. We have to wait till we engender, at least at qualitative and acceptable levels, scientific temper in our political discourses and daily lives. In a polity, which is yet to have an efficient and impartial bureaucracy, the electorate must be able to separate the wheat from the chaff and assess the performance of the elected representative vis-à-vis the executive mechanism. As rightly argued by Prof. Amartya Sen in The Idea of Justice, “the success of democracy is not merely a matter of having the most perfect institutional structure that we can think of. It depends inescapably on our actual behaviour patterns and the working of political and social interactions”. Systemic deficiencies are also evidenced by the passive citizen participation in elections in certain parts of the country. For instance, the recent 2017 Jammu & Kashmir by-elections witnessed abysmally low turnout. In such cases, especially when a candidate wins only by a thin margin in a polarized ecosystem, the elected candidate holds a vulnerable mandate. Further, it is contentious as to whether right to recall has met expectations vis-à-vis the limited number of local self government frameworks which provide such right to the electorate (as in the case of Madhya Pradesh). Even though the right to recall is intuitive, it must be rejected as it does not satisfy the test of pragmatism. Although a pious concept, it is unacceptable considering the extant state of affairs. Speaking in the Constituent Assembly on 4 November 1948, Dr. Ambedkar stated, “Constitutional morality is not a natural sentiment. It has to be cultivated. We must realise that our people have yet to learn it. Democracy in India is only a top-dressing on an Indian soil which is essentially undemocratic.” This observation continues to be relevant and therefore, our endeavour must be to create an ecosystem, which is favourable for the enforcement of right to recall in letter and spirit. Mathews P. George is a lawyer and consultant based in Kerala. He is also an analyst at spicy IP. Aparna Asokan is a final year student of National University of Advanced Legal Studies, Kochi.